The USDA Natural Resources Conservation Service announced that the agency will award $13 million to projects in seven states to protect, restore and enhance wetlands on private and tribal agricultural lands. The projects are being funded under the Wetland Reserve Enhancement Partnership (WREP). 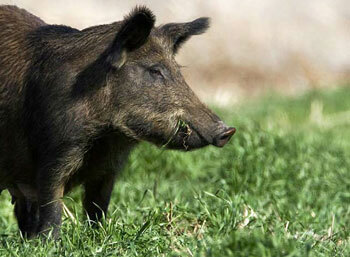 Mississippi received $3M to be awarded to Delta Wildlife to benefit waterfowl and help manage feral hog populations on Wetland Reserve Program lands. Delta Wildlife’s project will award $1.8M to eligible WRP landowners who implement specific wetland and waterfowl management plans on 22,000 acres of WRP impoundments. Each management plan will be designed to maximize food resources and habitat for migratory waterfowl on WRP impoundments. The balance of the project budget will be used to monitor hog populations, assess damages and facilitate hog control efforts on 50,000 acres of WRP lands. “Delta Wildlife is pleased to offer this program and assist WRP landowners with waterfowl and feral swine management,” stated Randy Sewall, Chairman of the Delta Wildlife Waterfowl Committee. “We are especially grateful to our partners Delta Waterfowl, Ducks Unlimited, Mississippi Department of Wildlife, Fisheries and Parks, and the Mississippi Chapter of the Nature Conservancy who helped Delta Wildlife leverage additional funds enhance waterfowl habitat on WRP lands. “These locally-led partnerships are instrumental in achieving greater wetland acreage and maximizing their benefits to farmers, ranchers and the local and rural communities where wetlands exist.” NRCS Acting Chief Leonard Jordan said. When a formal sign up is announced, WRP landowners interested in participating in this program should visit their local NRCS Service Center to sign up. Wetland reserve easements enable landowners to successfully reduce impacts from flooding, recharge groundwater, enhance and protect wildlife habitat and provide outdoor recreational and educational opportunities. WREP project partners are investing nearly $2 million in these projects, bringing the total investment to approximately $15 million. In total, the projects will help to protect, restore or enhance over 25,000 acres of wetlands in critical watersheds across the nation. These partners work directly with eligible landowners interested in enrolling their agricultural land into conservation wetland easements. Today’s announcement includes high-priority watershed projects in Arkansas, Georgia, Kentucky, Louisiana, Mississippi, Missouri and Tennessee. Arkansas: The purpose of this project is to utilize the partnering strength of the Tri-state Conservation Coordination Committee to collaboratively develop and implement a multi-state WREP project that focuses on restoration of forested wetlands within priority portions of the Mississippi Alluvial Valley in Arkansas, Louisiana and Mississippi, including specific targeting of priority watersheds of the Mississippi River Basin Healthy Watersheds Initiative (MRBI). The project will address the three primary natural resource concerns for the Mississippi River Basin: water quality, water quantity and wildlife habitat, including critical habitat for the Louisiana black bear, migratory waterfowl and wetland-dependent wildlife. NRCS plans to invest $4.8 million in this project to restore more than 1,500 acres. Georgia: Recovery and delisting of federally Endangered Canby's dropwort is a priority for the U.S. Fish and Wildlife Service and the Georgia Department of Natural Resources. Canby's dropwort occurs in cypress savanna depression wetlands, and 18 of 21 of its occurrences are on privately owned agricultural lands. The primary objectives of this proposal are to protect the entire Canby's dropwort populations, protect and restore high priority cypress savanna and cypress swamp habitats, and implement a sound management plan that prioritizes restoration of the rare species and habitats within the project area. This project will also provide the resources needed for protection and hydrologic and habitat restoration for the Neyami Savanna wetlands, which will help advance the recovery of Canby's dropwort. NRCS plans to invest $1.19 million in this project. Mississippi: The purpose of the proposed project is to protect the vegetation and hydrology restoration on easements by trapping and removing feral swine and enhance habitat for migratory waterfowl on easements by providing wetland management plans and practice incentive payments to eligible landowners. NRCS funds will be directed towards monitoring, assessment, management plans and documentation of feral swine damage to properties. NRCS plans to invest $3 million in this project. Tennessee: The purpose of this project is to achieve more sustainable land and water management in the active floodplain of the Lower Mississippi, thus providing significant ecological, economic and societal benefits. This is predominantly restoration and enhancement work of existing easements. The proposed project constitutes the fourth phase of a continuing effort that began in 2012. Efforts to date under Phases I-III have resulted in applications of enrollment for approximately 16,000 acres of private land in the project area. NRCS plans to invest $4 million in this project to restore or enhance an additional 1,301 acres in Arkansas, Kentucky, Louisiana, Mississippi, Missouri and Tennessee. Visit NRCS's Agricultural Conservation Easement Program webpage to learn more about NRCS's wetland conservation opportunities. 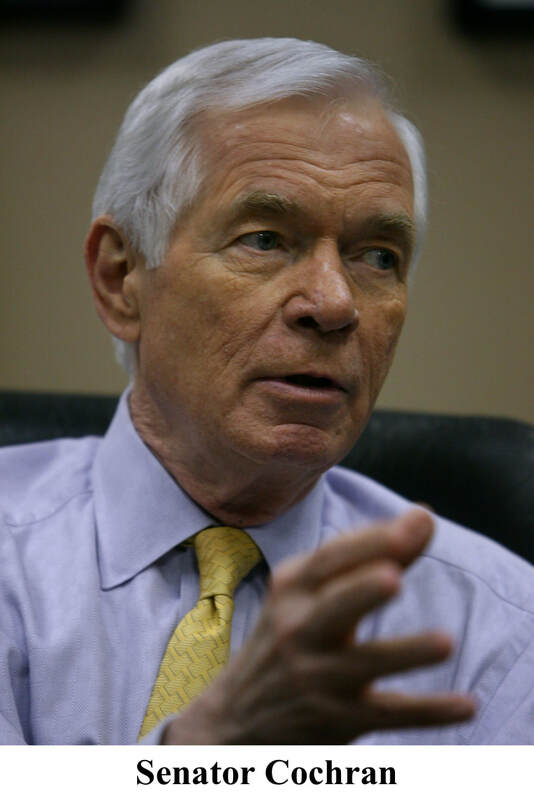 Chairman Thad Cochran recently announced Senate Appropriations Committee approval of a FY2018 agriculture funding measure that helps supports efforts to combat feral swine and cormorants, increase waterfowl habitat on CRP lands, and improve management of young bottomland hardwood forests to increase timber values and wildlife habitat. Cormorants Depredation: APHIS funding, $1.6 million increase to the budget to combat wildlife depredation to domestic catfish operations and related production aquaculture. Waterfowl Management: FSA directive, update CRP guidelines to allow to allow current and future participants enrolled under floodplain and non-floodplain wetland restoration practices to plant up to 10 percent of enrolled land in agricultural commodity crops as wildlife food plots to enhance waterfowl food and habitat. “Senator Cochran has long supported conservation and we are grateful to his continued commitment as Chairman of Senate Appropriations Committee,” stated John Murry Greenlee, Delta Wildlife President.